Once upon a time, property management systems were a handy front office tool. Not anymore. Now, they’re the engine room for almost every aspect of an accom business, powering the smooth integration of everything from reservations to rate setting, billing to revenue management and housekeeping to maintenance. They are quite simply a critical component in delivering a seamless guest experience, while their ability to synchronise systems to speed up myriad everyday tasks makes them indispensable to property managers. Which means if you spend part of your day correcting double ups, dealing with booking errors or clicking through multiple screens for everyday tasks, you’re working with a system that’s out of date. Let AccomNews help you navigate your journey through planning the perfect PMS. era of hyper-personalisation. A PMS that doesn’t allow you to record guest profiles or doesn’t integrate with CRM is not compatible with the modern approach to building guest loyalty. Connectivity: Properties that do not provide the ability to book online are likely to be losing a significant chunk of business. It’s vital that a PMS connects to online sales channels (online travel agents, global distributions systems, etc) and automates availability and rate updates across those channels. coverage, providers are also sometimes challenged by extremes of topography which can cause fluctuations in broadband connectivity. has been targeted numerous times in recent years, Marriott revealing a vast breach in December which had exposed the private information of some 500 million guests. Another drawback includes possible lag times if the external servers are located very remotely. With onsite hosting, security is tighter and internal operations are not reliant on an internet connection, although many of these systems can be integrated with online features. The drawbacks come down to the much greater maintenance responsibilities, less flexibility, fewer integration opportunities and a higher purchase cost, while hidden interface costs can also add up. Combined systems that act as hybrid solutions are also a possibility and available at different price points. Data migration Harnessing guest data through your PMS allows delivery of useful information, packaged in easy-to-read, actionable reports. This is why it’s so important to make sure that whenever you change PMS, you’ll be able to shift all your valuable current data over to the new system. Craig Chait, managing director of Xn protel Systems, says: “The wealth of historical data and forward reservations stored in a legacy property management system should be migrated to a new system to ensure business continuity and to maintain customer service levels. “While on one hand migrating profile and reservation data sounds simple enough, it’s more complex than you think. Firstly, what is the quality of the data? Are there profile duplicates? Old contact records? Who cleans this data up? Will this mean importing garbage data that isn’t relevant? “Then there is the question of changing the configuration of the new PMS from the old one to take advantage of new features, and more granular analytics. “Everything from rate codes to packages, market, segment codes, transaction and account codes, and so on – all valuable data that you may want to refresh and bring into the new PMS that ensures this business continuity and customer service levels. Funding options Property management systems can be split into three main types: there’s the pay-perroom model, a tiered option and the one-time licence. They each have their pros and cons and differ slightly in price. Pay-per-room is a traditionally popular choice for accommodation providers looking to install new soft ware. It generally involves a oneoff installation fee and after that, the cost is monthly and usually generated based on the number of rooms in the property and/or the number of users who access the system. While this sounds reasonable, it can quickly add up if you have lots of rooms. However, discounts are usually available for very large properties. The tiered model is a type of PMS structure that can tie into the pay-per-room model. RMS Cloud: Property Management Simplified RMS Cloud builds world-leading hospitality technology for motels, hotels, apartments and holiday parks. Our software is robust, cost-effective and always evolving to ensure user relevance. Based around an acclaimed Property Management System, RMS software modules are designed to simplify the complex task of running an accommodation business, from checking in guests through to boosting sales, rates and distribution, all you need is an internet browser. PMS product overview Seekom provides you with a total cloud based solution for Hotels, Motels, Hostels, Holiday Parks, Managed Apartments and Vaction Rental companies. It includes an advanced Reservation Management system, with integrated Booking Engine and Channel Manager. Combined with our in-house Website Hosting services; we offer a complete, comprehensive, online solution. 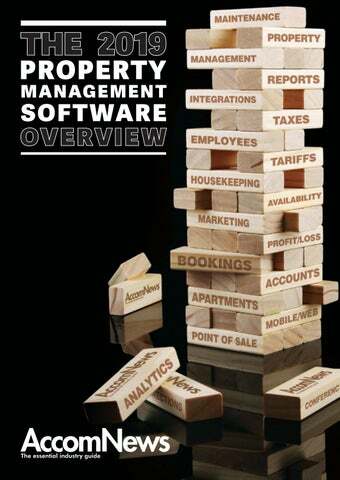 PMS product overview RMS Cloud has developed a best in class Property Management System used by more than 6000 properties in 31 countries. It’s robust and simple to operate with the ability to manage all key hotel admin and distribution functions from a single platform. The attractive RMS dashboard sums up all key metrics at a glance and can be customised to suit individual roles and preferences. RMS Cloud is also ideal for multi-property groups, allowing management to compare data across multiple properties, sharing performance metrics within a single enterprise database saving time and money. Support overview Comprehensive training is provided by a dedicated support team. This is offered via Phone, Email, and “Live Chat” depending on your monthly plan. There are also online help articles along with many videos to assist you. The friendly and knowledgable team based are New Zealand based are always available to assist you. 24 x 7 support is also available for critical issues. Support overview We’ve got your back. RMS Cloud understands the importance of post-sales support and if customers have an issue, we are there to help 24/7 if required. Ongoing client education to ensure clients get the most from their experience is a priority and we have a fantastic learning library available through our website and other channels such YouTube, which features a comprehensive selection of instructional videos covering most aspects of the RMS system. In addition, our sales and support team run regular webinars covering key topics while individual training programs can be arranged. Pricing structure overview Pricing structure overview Various option plans available, to best suit your business for a cost effective solution. Our low monthly fees start from only $99+GST per month, along with a very low 0.5% commission. Commission is charged in arrears to correlate with your cash flow, so they can work seasonly with you. Channel Management/Integration Seekom prides itself on its in-built Channel Manager and Website Booking Engine. No further integrations are required to other third parties. iBex channel manager connects to over 50+ OTA’s, including the ever popular channels; Booking.com, Expedia, Airbnb, Agoda, Trivago, Wotif.com, Reconline (GDS) etc. There are very strong integrations with Booking.com, Expedia, and Airbnb in particular, plus new channels and enhancements are continually being added. Value for money is the core pricing proposition of RMS Cloud – and has been since the company was founded 35 years ago. RMS Cloud takes a customised approach, offering a range of pricing alternatives based on business structure, size, complexity and needs. Pricing is primarily subscription based with no requirement for long or fixed term contracts. The entry level package offers access to all key Property Management System features while add-ons such as the Internet Booking Engine and Channel Manager are available. RMS Cloud frequently benchmarks pricing of its products and services to ensure it remains ahead of the pack. Channel Management/Integration Managing multiple booking channels can be complex, confusing and time-consuming. But it need not be that way. The RMS Channel Manager is simple to use and seamlessly connects partner properties to all leading Online Travel Agents, Global Distribution Systems, bed banks and wholesalers. 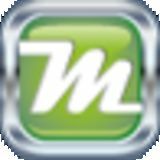 Best of all it’s built into the RMS Property Management System, eliminating the need to use a costly third-party provider. Convenience is also a huge plus with the ability to control inventory, rates and restrictions from within the Property Management System. Our average update speed is between 4 - 7 seconds, speeds no others can match. PMS product overview SIHOT FLEX offers our clients the flexibility to work anywhere from any device. SIHOT offers a wide variety of solutions for major chains to sporting facilities, hostels, motels we have a solution for you. With over 30 years industry experience and over 3500 installations worldwide. PMS product overview Protel offers a feature rich and extensively integrated PMS in both the ‘protel Air’ cloud-native solution (in Amazon AWS data centres worldwide), and the ‘protel’ on-premise Windows solution. Both capable of single property up to multi-hotel chain editions. Everything from rooms and guest management, housekeeping, maintenance, food & beverage, conference/banqueting, spa and leisure, staff/mobility apps, guest-facing technologies and more than 1,200 open-systems vendor integration, means that you benefit from latest technologies from experienced and industry-seasoned hotel experts. Discover for yourself how we optimize revenues, simplify operations and enhance the guest experience with our solutions. Support overview SIHOT provides itself on delivering outstanding customer support. We are here to guide you through step by step. SIHOT offers business hours and 24 hours support. With offices around the globe. Contact our support lines via phone, online chat and email. Pricing structure overview SIHOT PMS is modular based software that allows the property to individualise their system and only pay for what they need! We offer low monthly all-inclusive options including hosting ,rental of the software or purhcase outright. We will work out a pricing structure to meet any budget. Pricing can start as little as $140 per month. Pricing structure overview We are one of the leading global PMS and hotel technology companies for good reason. Excellent value for money and unsurpassed service. No hidden costs and full transparency of pricing and services, now and into the future. Even for add-ons and customizations. We are cloud-native, so you will never pay for hardware, operating-systems, databases, or upgrades to use protel. We price our feature-rich PMS around your number of rooms and/or interfaces and some additional modules as you may need such as banquet/conference management or POS. This means that you pay only for what you use or need and not what you are bundled with. Channel Management/Integration Let the experts handle the channel management while we focus on delivering the best possible PMS solution. SIHOT integrates with SITEMINDER and Travelclick. SIHOT Web which allows direct bookings free of charge to come from your own property website 100% commission free. Channel Management/Integration Web Bookings: 4 web booking options to choose for PMS, Conference/ Banqueting and Spa/Golf/Dining/Activities for single sites to hotel chains. Mobile responsive, 2-way real-time and managed from within the PMS. We also integrate with many industry web booking engines. Channel Management & GDS: We provide some leading direct OTA connections and own ‘XN’ GDS chain code to use, but also integrate with many channel managers such as Siteminder, SynXis, STAAH, Update247, Levart, TravelClick, and many more. Central Reservations: Can be managed within the multi-hotel PMS version or using the XMS central reservation system, managing hotel chains. Also integrate with many 3rd party CRS systems.